What is the purpose of the police locker? In any police station or security guardhouse you're likely to see the standard issue police locker. 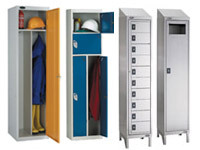 These lockers were built to be as heavy duty as the men and women that use them. Constructed to take a lot of abuse, these police lockers are ideal as a storage solution for any sort of security personnel, since it keeps their personal effects secure during their hours of duty. Where can the police locker be used? 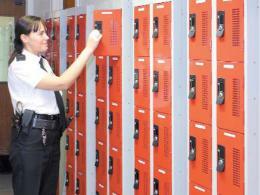 The police locker is developed for use in police and security locker rooms. Because of their standard construction they can be mounted on almost any wall, making them feasible for use in police posts. The simple but effective design makes it almost impossible to break into one of these lockers and that added security is what is expected from a police locker that is used to hold the personal effects of an officer of the law. Who might use the police locker? Although the most common users of the police locker are police stations, they can also be used in security booths and independent security contractor bunkhouses. The design allows the police locker to be used in any situation where a company may need a secure storage spot for the employees that can stand up to the most rigorous of usage over time. The police locker is the best method of filling this need. 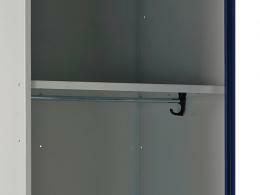 The police locker has a total depth of 600mm, allowing almost any sort of police dress to be hung inside. 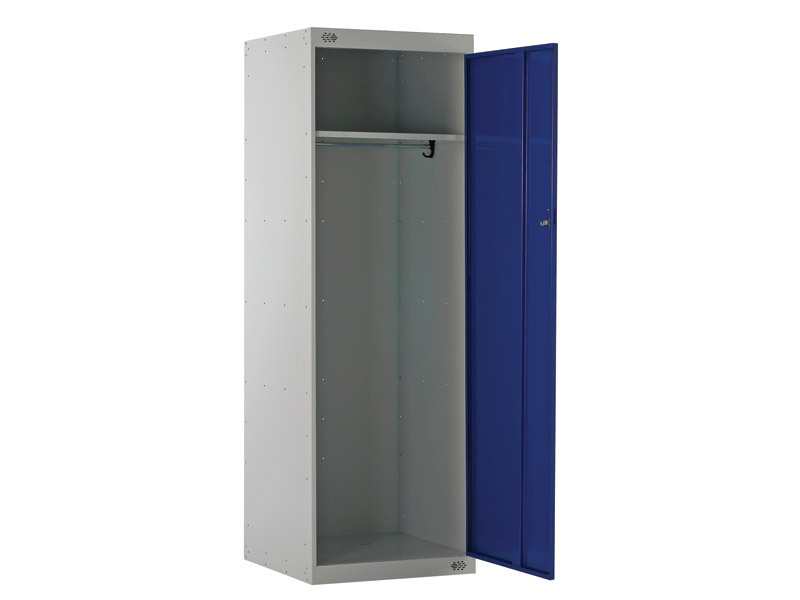 The police locker can get up to a standard height of 1800mm, with a width that comes in two varieties of 450mm and 600mm. Constructed for use with police equipment, there are a number of options that can be included to allow for use with all sorts of police equipment loadouts.